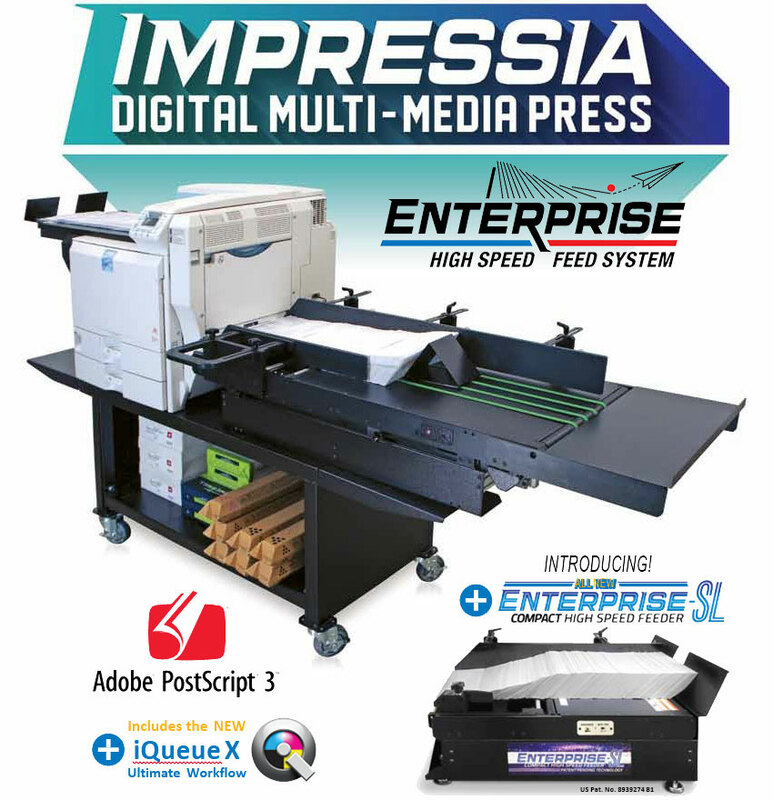 The Impressia Digital Multi-Media Press with the patented Enterprise High Speed Feed System and the new Enterprise-SL Feeder offers users an affordable way to go digital and meet the demand for fast, full-color printing. Enterprise’s groundbreaking design features a straight multi-speed feed path for a faster and smoother delivery compared to other feed methods. The complete digital solution is driven by the iQueue Workflow that offers new file editing options, new variable data manager, advanced color correction tools and more. - Allows you to print on a wider variety of media and in a wider range of sheet sizes. - Dramatically improved print speeds with a standard 80 GB Hard Disk Drive (HDD). 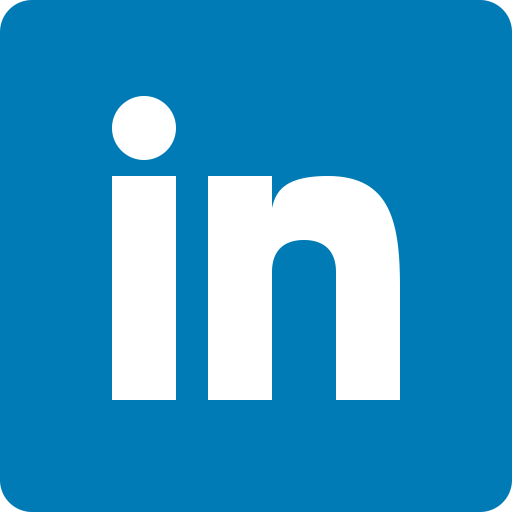 - Features a lower cost per sheet, so you reduce production cost, while you increase profit margins. - Run full color jobs including variable data in one pass. - The iQueue Ultimate Workflow automates prepress production and provides critical color adjustments. - Resolutions up to 2400 for exceptional sharpness, clarity and color quality. - Edit CMYK Colors and Match Critical Spot Colors using the iQueue Ultimate Workflow. - New HD toner offers a wider color gamut. The smaller particles enable the Impressia Digital Color Series to capture subtle changes in color and tone. - Output is waterproof and laser safe. 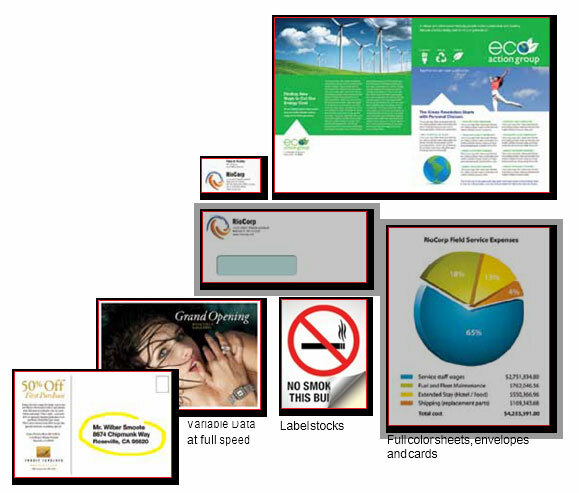 - Prints on a variety of stocks including: Uncoated, coated, NCR, card stocks, textured stocks, label stocks and envelopes (4 Bar, Monarch, standard #10, window** and large). 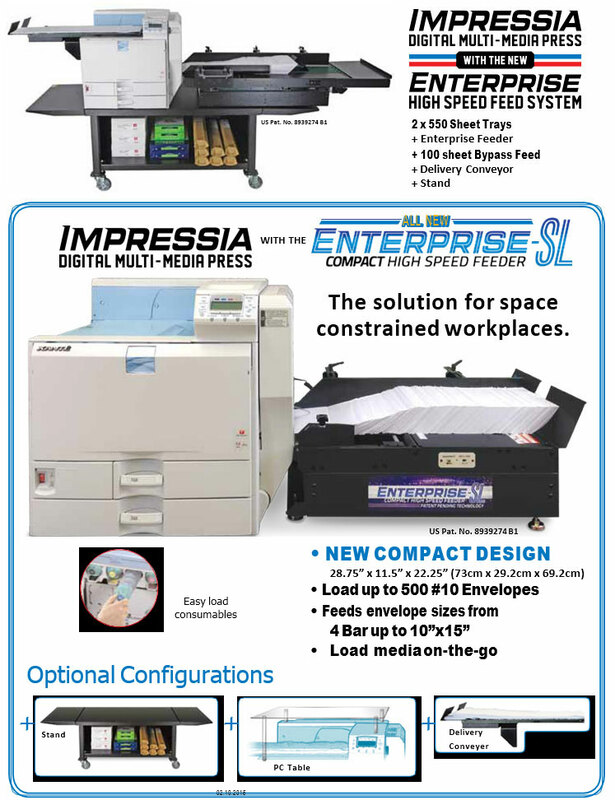 - The Impressia offers multiple feed options including the patented Enterprise High Speed Feeder, the new Enterprise-SL Compact High Speed Feeder, two standard feed trays and an optional large capacity feed tray. - Print oversized sheets / banners up to 12” (304 mm) x 49.6” (1260 mm) - manual feed.